Figure 8.1 Schematic of a Brayton cycle. Our objective is to express thrust, T, and thermal efficiency, h (or alternatively I) as functions of 1) typical design limiters, 2) flight conditions, and 3) design choices so that we can analyze the performance of various engines. The expressions will allow us to define a particular mission and then determine the optimum component characteristics (e.g. compressor, combustor, turbine) for an engine for a given mission. Note that ideal cycle analysis addresses only the thermodynamics of the airflow within the engine. It does not describe the details of the components (the blading, the rotational speed, etc. ), but only the results the various components produce (e.g. pressure ratios, temperature ratios). In Section IX we will look in greater detail at how some of the components (the turbine and the compressor) produce these effects. Figure 8.2 Gas turbine engine station numbering. where d= diffuser (or inlet), c= compressor, b= burner (or combustor), t= turbine, a= afterburner, and n=nozzle. Check out the Thermo notes for a refresher on cycle analysis done in the fall - GO! Figure 8.3 Schematic with appropriate component notations added. 1) Find thrust by finding uexit/uo in terms of qo, temperature ratios, etc. 3) Use an energy balance across the combustor to relate the combustor temperature rise to the fuel flow rate and fuel energy content. That is the easy part! Now we have to do a little algebra to manipulate these expressions into more useful forms. Which expresses the exit temperature as a function of the inlet temperature, the Mach number, and the temperature changes across each component. Since we will use this expression again later we will mark it with an asterisk (*). We now continue on the path to our expression for u7/uo. Now we have two steps left. First we write tc in terms of tt, by noting that they are related by the condition that the power used by the compressor is equal to the power extracted by the turbine. Second, we put the burner temperature ratio in terms of the exit temperature of the burner, (TT4 or more specifically qt=TT4/To) since this is the hottest point in the engine and is a frequent benchmark used for judging various designs. That was the first step ­ relating the temperature rise across the turbine to that across the compressor. 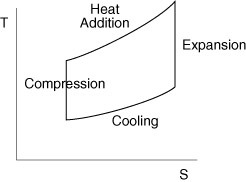 The remaining step is to write the temperature rise across the combustor in terms of qt=TT4/To. Stanford has a great standard atmosphere calculator that can be used to find conditions at any altitude - GO! into the equations before plotting the results. 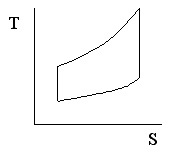 Figure 8.4 Performance of an ideal turbojet engine as a function of flight Mach number. Figure 8.5 Performance of an ideal turbojet engine as a function of compressor pressure ratio and flight Mach number. Figure 8.6 Performance of an ideal turbojet engine as a function of compressor pressure ratio and turbine inlet temperature.